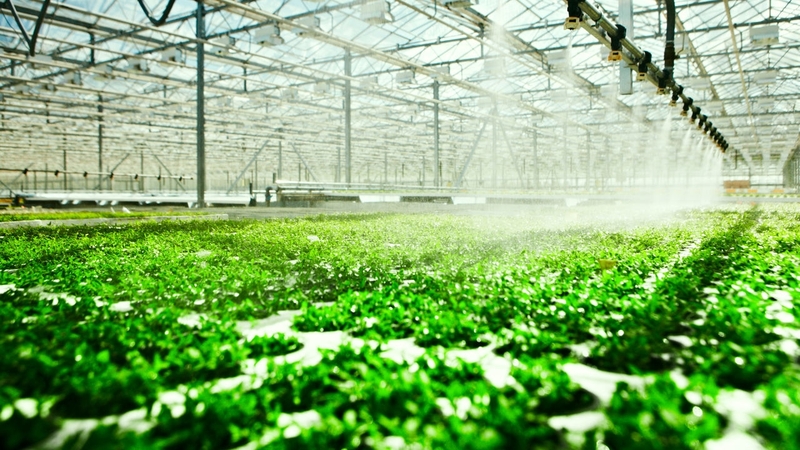 Hydroponics is a technique of growing plants without soil, in fact, the system helps to grow plants with mineral nutrient rich water solution so the plants can devote more energy to producing vegetables and fruits rather than searching for food. The plants grow without soil but it requires another material Gravel which is essential to growing and nourish roots of the plant. The hydroponic technique is getting a boost in agriculture field on a small scale to grow vegetables, herbs, and fruits under controlled conditions. Many naturalists praise soil-based agriculture but you can't defy hydroponics. Soil rich agriculture includes many environmental and pest related variables that can't be controlled like humidity, climate, wind pestilence etc. this method offers an ideal nutrient balance for plants, producing nutritious crops. The system has many benefits like you can grow plants in arid regions, eliminate or reduce pests or it takes less than usual time in gardening most of the vegetable and fruit plants blossom well. The hydroponic system uses very efficient water than the soil-based agriculture, requires mineral nutrient rich water solution. It's then recycled and push back for the use again. Rather than this, in soil system water is drained out. In hydroponics, there are no seeds, so the farmers don't require weeds and pesticides. Such things save the pockets of the farmers as well as provide nutrient rich and safe veggies and fruits. The system helps to control nutrients that need to thrive the plant. It helps you to examine the plants closely and provide an exact idea of what they need to grow. It eliminates the risk of poor quality crops. The system is very ecofriendly as it requires a small piece of land for farming, uses efficient water, reduces labor for harvesting, amount of fertilizers and more. Greens such as lettuce, chard, spinach and cabbage thrive well with the system. Whereas any leafy vegetable can bloom easily. Root crops such as potatoes, ginger, carrot, radish can thrive easily in the hydroponic greenhouse. Vining plants such as tomatoes, cucumber, peas and other grow easily as they have ample support. Smaller and lighter fruits can also grow well. Herbs like basil, chives, mint and more grow densely and especially in a great flavor too. You should learn the system as well as try to use on a small level then you will get to know how the system works with this much benefits.